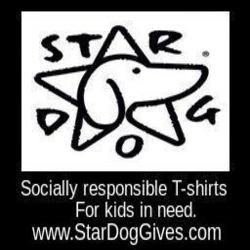 Star Dog gives a new t-shirt to a child in need everytime a t-shirt is purchased. Below is a list of places Star Dog, with the help of our supporters, have donated. *TBA- To Be Announced: Shirts have been ordered and will be delivered soon. STAY TUNED!